Happy Literary Friday and Good Friday, My Lovelies! Today I want to share with you an interactive book that's fun and helpful, especially if you're looking for ways to enrich your life and spark your creativity. 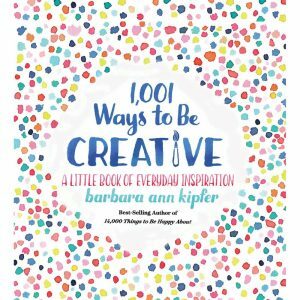 I know that this isn't the type of book I normally post for Literary Friday, but 1,001 Ways to Be Creative by Barbara Ann Kipfer is so unique I think most of my readers would enjoy its inspiring content. Best-selling author Dr. Barbara Ann Kipfer is back with a new, beautifully illustrated book that will help you break free from to-do lists and find time to think and live more creatively. The third entry in Kipfer's successful 1,001 Ways series, this interactive list book will inspire anyone looking to unleash their creative genius. 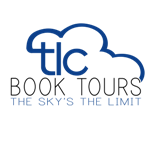 In today's overscheduled world, there is often little room for creativity in our daily lives. 1,001 Ways to Be Creative shows you how to set your brain free, and will help you find the time and energy to play, dream, imagine, breathe, and explore. 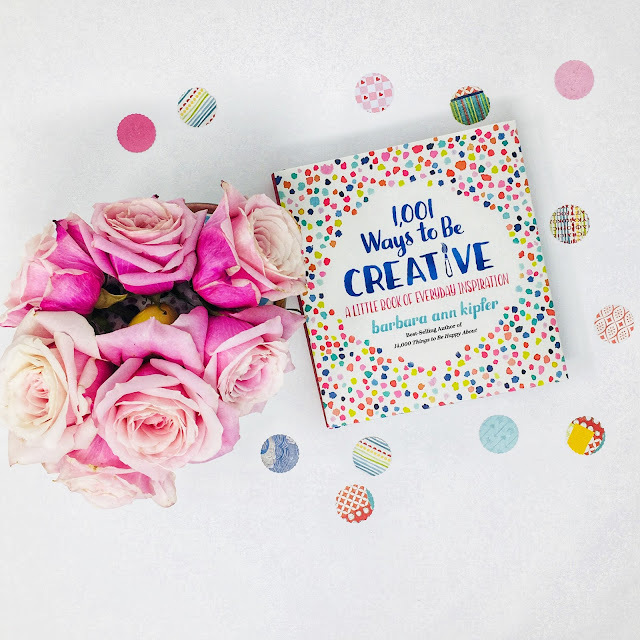 This inspirational book of lists offers a treasure trove of ways to bring a little creativity into your life, including ideas for innovative things to do, practical tips, and thought-provoking quotes. Interactive prompts inspire art projects, storytelling, innovative thinking, seeing like an artist, and more. With this energizing book by your side, your next Big Idea could be just around the corner! Dr. Barbara Ann Kipfer is the author of 14,000 Things to Be Happy About and the Page-a-Day calendars based on it. She has written more than 60 books, including 1,001 Ways to Live Wild, The Order of Things, Self-Meditation, Instant Karma, 8,789 Words of Wisdom, The Wish List, and 4,000 Questions for Getting to Know Anyone and Everyone,and she edited Roget’s International Thesaurus. She holds PhDs in linguistics, archaeology, and Buddhist studies. Dr. Kipfer is the Chief Lexicographer of Temnos and has worked for such companies as Answers.com, Ask Jeeves, and Dictionary.com. #523: The first step to controlling your destiny is to imagine it. #859: Open this book to a random page and perform one of the entries. Okay! So I think I'll take #859's suggestion and do just that...although maybe it would be better to go to a number generator app and select three numbers randomly. #510: Be constantly and quietly aware. #886: Write your life story in 250 words or less. I was born on Decoration Day (Sunday, May 2), and my family always teases me about it, saying things like, “You were born at the decoration.” If you’re Southern you know what this means. I became a Christian at a young age only by God’s grace, and I can see his hand guiding me my entire life. When I was a little girl, I loved books, coloring and drawing, and bikes. Not much has changed! I was a bit of a tomboy, and my best friend in elementary school was Ken. I loved high school, but hated college because I didn’t love what I was studying (but luckily that changed in graduate school). However, I did love my sorority sisters and other things about the University of Alabama, and I met my husband Trip at a fraternity party. A friend from mine from high school named Ken (a different Ken) introduced me to him. I married Trip young and started graduate school at Tulane and finished my courses at Belmont because we moved. We moved again to Scottsdale, Arizona where Shanley Belle was born, and then to Alabama where Shelley was born. I’ve been an English teacher. I became a stay at home mom and loved it. I’m well traveled, and I enjoy learning new things. Now I’m an empty nester and Westie mom to Finlay and Mustang Sally with way too many hobbies. I’m prayerfully considering dropping most of them and going back to school for another degree (MFA). #701: Go on a drawing retreat. I'll definitely try #510, and I'd love to do #701, but that will take a bit of planning! I highly recommend this book for anyone who wants to live a more creative life. Some of the suggestions are humorous, some are funny, and some are good for pondering. Disclosure: I received a hardcover copy of 1,001 Ways to Be Creative from the publisher via TLC Book Tours in exchange for a fair an honest review. I love the idea of using a random number generator to decide which of these wonderful things to do - what a fun idea! What a fun book!! I love the idea of just opening it to a page and doing that! You truly are a student and lover of education, I hope you get to pursue your MFA! Have a wonderful Easter weekend! Great post, Ricki Jill. I am going to order it for my very creative friend for her birthday. Have a great week. The quote about crayons is the best ever! Looks like a very fun book. This looks like a fun book and I learned a lot about you in this post! I wasn't picturing you as a tomboy either! The newsletter was awesome this week! Thank you! Hugs, Diane PS Hobbies are fun but it's hard to find time to do everything we want to do. I think it would be a good time in your life to go back for another degree!